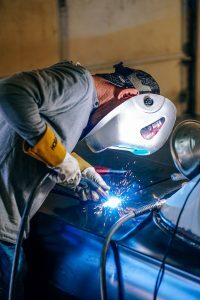 A good and rugged welding machine is something every welder should have. Having your own welding machine is excellent for your professional and home welding projects. Here we review MIG / TIG and Stick welding machines (see list below). We compare top brands like Lincoln Electric, Miller, Hobart, Forney, ESAB and Klutch. You may also take a look at the best welder generators which give your welder power when you are working off the grid.